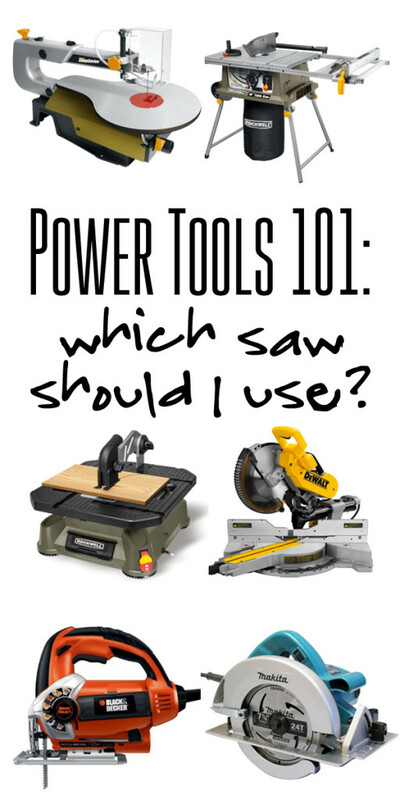 Power Tools 101: Which saw should I use? Last month I started a new series, Power Tools 101 with my buddy Jenna from Rain on a Tin Roof. A lot of you asked “which saw should I use?” pertaining to various projects. So that’s what we’re covering this month. There are virtually dozens of different saws on the market, but these listed are some of the ones that we personally use frequently and I feel like they are the best investment for DIY purposes. So let’s get to it! Before we get started…. 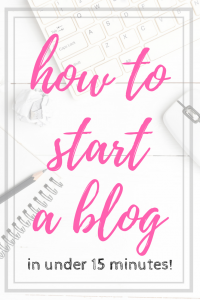 this post contains affiliate links, which means if you buy a product from this post then I will earn a tiny portion of the profit without any additional cost to you whatsoever. 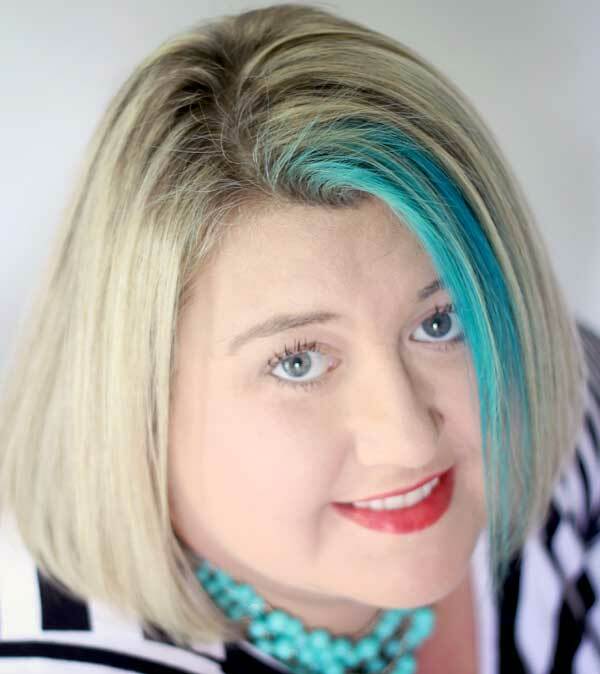 Thanks for supporting TSCC! Jig saws are handy tools to use for lots of purposes – but they are best used for free hand cutting items that have intricate cuts. 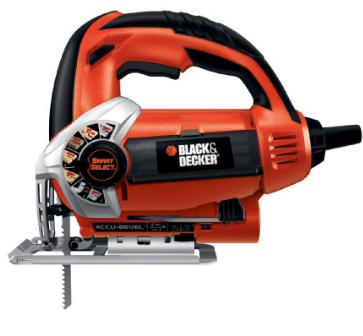 We use this Black and Decker Jig Saw with Smart Select. I’ve already shared how to use a jig saw – so be sure to check it out if you’ve never used one. You can use them to cut anything from metal to wood. You could use it for small straight cuts, but there are much better saws for that job. For super, duper intricate spots, a scroll saw is your best bet. I use it to cut wood letters or to even to cut the eleventy billion bead board bird ornaments I made in my Etsy days. See how detailed they are? Every one was specifically cut on a scroll saw because the thin blade can really get into every tiny nook and corner. 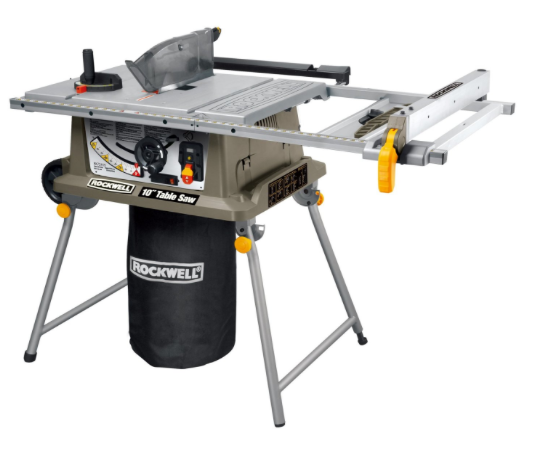 I’ve also tried this new saw, the Rockwell Blade Runner. It’s kind of like a jig saw and scroll saw in one. It can cut wood, metal, even plastic pipe. So if you’re investing in one, I’d definitely recommend it over a traditional scroll saw. Our very first Christmas together, my husband bought me a circular saw for Christmas. I know that sounds crazy but I’d been asking for one for years and no one ever thought I could handle it. When he bought me that saw, I knew we were going to be together forever – because he “got” me. It was the very first big girl power tool that I ever owned, and I used that thing until it finally gave up and stopped working. Circular saws are the work horse of a DIY’ers arsenal. You can use them to cut long lengths, short lengths, any angle. They work best for wood, but with the right blade can also cut metal or stone. For straight cuts, it’s the way to go. After a skill saw and a jig saw, my next recommendation for new power tool users is always aCircular saws Personally, I look for one that slides (the non-sliders are cheaper but not as good) and I look for a 12 inch reach (10 inch is cheaper, too.) If you’re going to make such a big investment in a tool, why not add just a little more to your budget and get one that won’t outgrow your needs. Compound miter saw is what we use to cut boards for almost all our projects, including our DIY wood floors. You can use it to cut angles for molding around doors & windows, cut small pieces of wood for projects (like the Mason Jar Centerpiece) and so much more. With the right blade you can cut metal, wood, basically anything. There are tons of others out there, but these basic saws can cover 99.9% of all DIY projects you would need to do. The only exception is a tile saw, and let’s face it, that’s kind of self explanatory! So if you were wondering “which saw do I use?,” now you know! 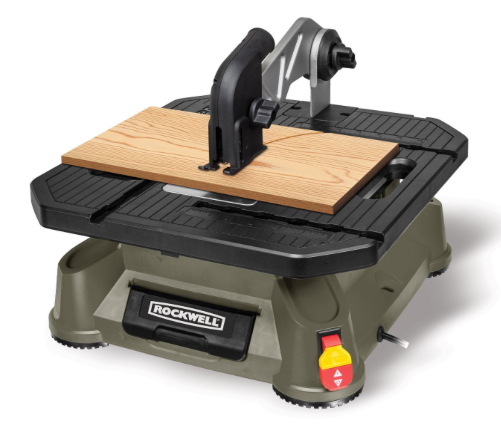 Does a circular saw have limitations that do not apply to a miter saw? I’m getting confused. You mention that the circular saw can cut any angle. They are so much cheaper than a miter saw that i wondered. Going to tackle a wood floor on my own and don’t want to waste my precious cash. The room has a bay bump-out as well as lots of doors and openings and a hearth that has to be maneuvered around. 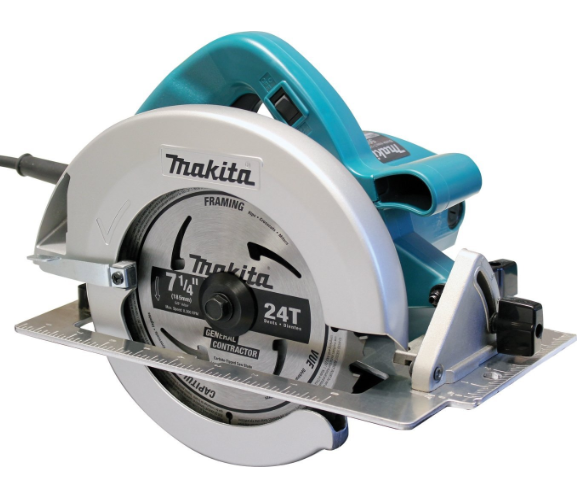 A miter saw is much more controllable than a circular saw and can be more accurate at cutting angles. If you look at the base of the saw you see how the wood will be supported when the blade comes down and that can mean a much cleaner cut that will go exactly where you put it. The circular saw is better if you need to make a long cut (like if you’re cutting shapes out of plywood or are cutting something larger than the miter can reach across), but since you have to cut across with a circular saw, rather than down with the miter saw, there’s a better chance that the cut will be uneven or the board will sieze up around the blade. I’d say generally a circular saw is a great tool to get early on since it’s perfect for small projects, and then once you’re doing more investing in a miter saw will make your life easier and more accurate. Both great tools though! Joyce, a circular saw can make miter cuts, as long as the tray supports it. However the level of control needed is much higher, as well as the reduction in cutting depth. Most circular saws can cut up to 4″ deep. Miter saws can cut much thicker pieces of lumber, with some cutting up to 7″ on an angle (think crown molding) . 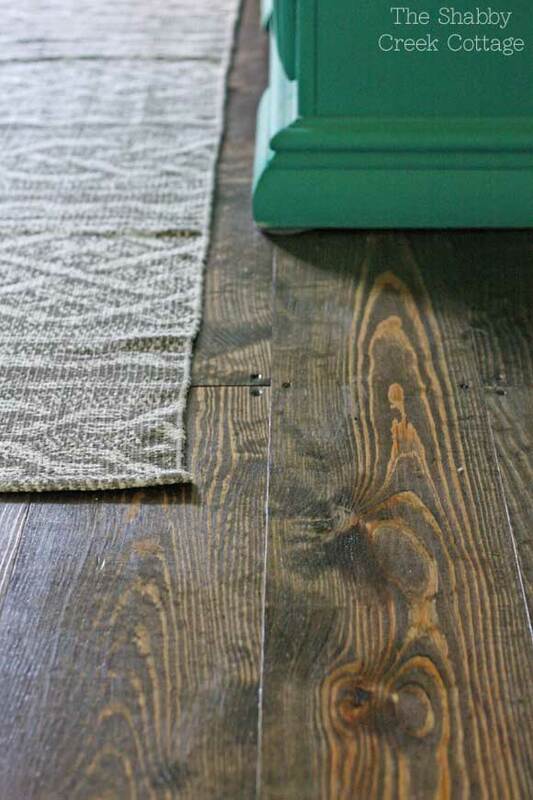 With floors, you will want a fine tooth blade so that the wood does not splinter at the end, this is with either saw. I use my miter saw more than my circular saw, unless the job requires on-site cutting, namely because I can cut several pieces of lumber at the same time without movement, plus I am guaranteed a square cut. The one additional piece of advice for a miter saw is to get a stand with extensions, trying to do an angle cut on a 8′ piece of 2×6 is tricky if you don’t have the extra support to hold the lumber in place. Great post! I’ve been researching jigsaws for about a month now and couldn’t figure out if that’s truly what I needed for my DIY projects. Love the idea of the jigsaw + scroll saw combo. Thanks for the chance to win a beautiful tool! You have no idea how badly I needed this! Good grief! Talk about perfect timing. I just bought a sliding miter saw and I am so excited to use it. This gave me some much needed confidence and knowledge. Thanks! I’m cutting a long thin dowel and can’t decide if it’s time to invest in a circular saw! I need to cut small pieces (like half an inch!) and am thinking I’ll just use my jigsaw. Thank you so much for the help! You didn’t say anything about a radial arm saw. Where does it fin in your review of saws? Thank you for this information! 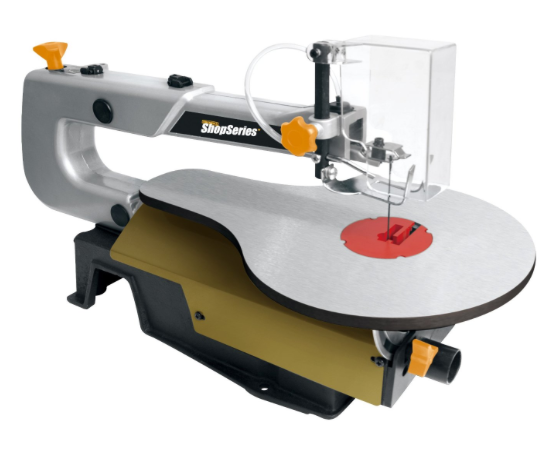 Can you tell me what kind of saw I should use if I want to cut letters that are 1 and 1/2″ thick (thick enough to stand alone on a shelf) . I have a scroll saw but am having trouble cutting thick pieces. Is it maybe the wood? I have used pine but it’s still a struggle. You are probably using the wrong kind of blades. Make sure it’s a wood blade. Pine is pretty soft. Just go slow and with the right bland it will cut nicely. However, I highly suggest 1x pine (which is actually 3/4 of an inch thick.) Good luck!! I own a paint party shop. I’ve been ordering cutouts from a manufacturer. It’s taking months to get my orders so I’m considering trying to cut the shapes myself. They are usually 22-24” and I would like to use MDF boards. 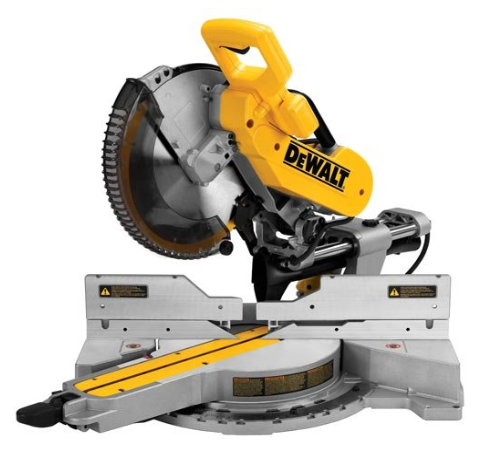 What type of saw would you recommend? I would probably recommend a scroll saw but you may want to ask someone where you buy your wood to get their opinion as well. Good luck! 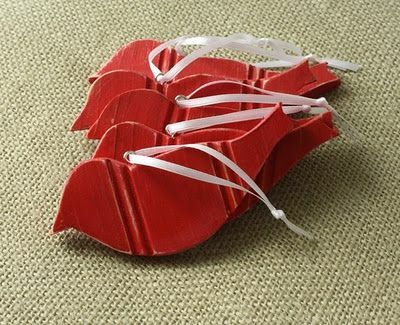 I want to make the letter door hangers out of wood, What saw would be best for that? I cut a lot of 4×4 posts and use a hand saw now. Whqt kind of saw would work best for that? Can I use a jigsaw to cut off wood pegs on a built-in shelf (I am replacing them with brass hooks)? I have cut three (out of nine), but I used a small bow saw, which was very difficult. I then sanded down the jagged stubb flush to the mounted wall board & patched. But there must be another way! My normal saw was too big to fit. 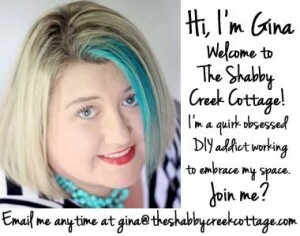 I’m not sure Gretchen, maybe ask a professional like at Home Depot or lowes? Good luck to you!